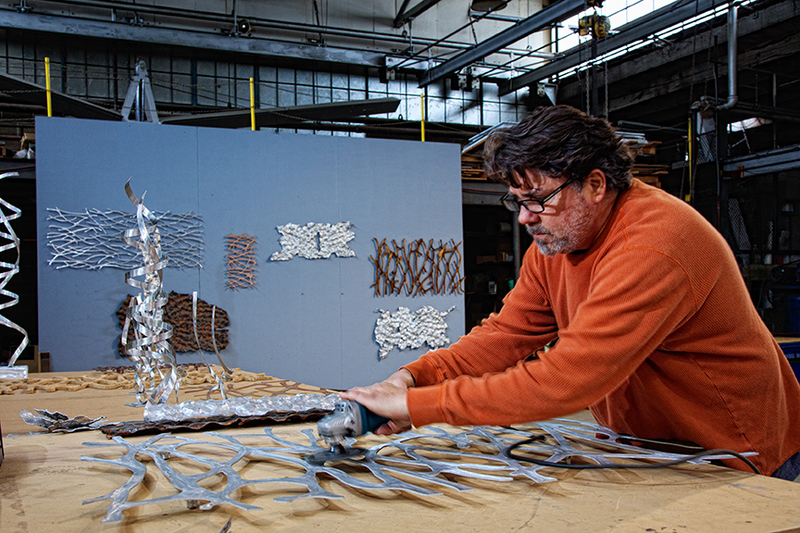 A St. Louis artist transforms metalworking from a livelihood to a lifestyle. The Sheet Metal Valley feels especially desolate on a snowy Saturday morning in January. 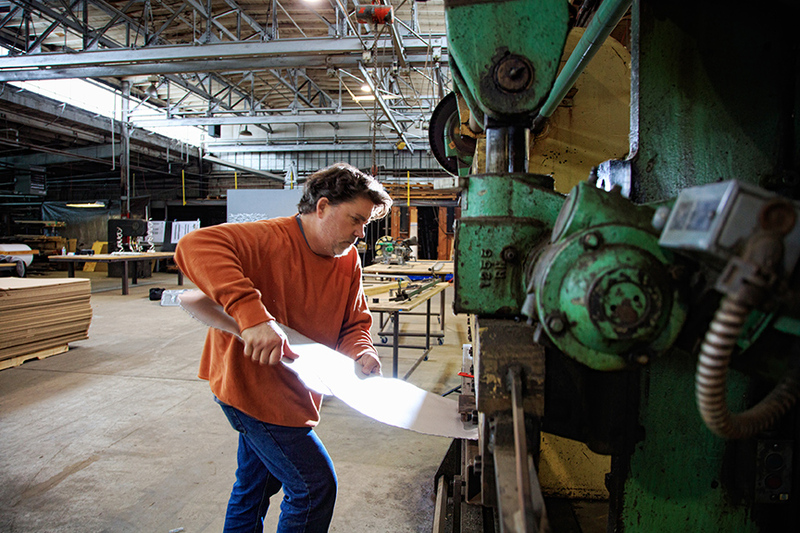 Nestled between Macklind and Manchester roads, this industrial-grade strip of St. Louis is one of only a handful of sites that remind passersby of our city’s manufacturing roots. It’s cold. It’s gray; it’s thriving. Much like the artist who calls it home. It’s a strong opinion, rigid at first mention, and one that he’s honed after more than three decades as a metal guy. 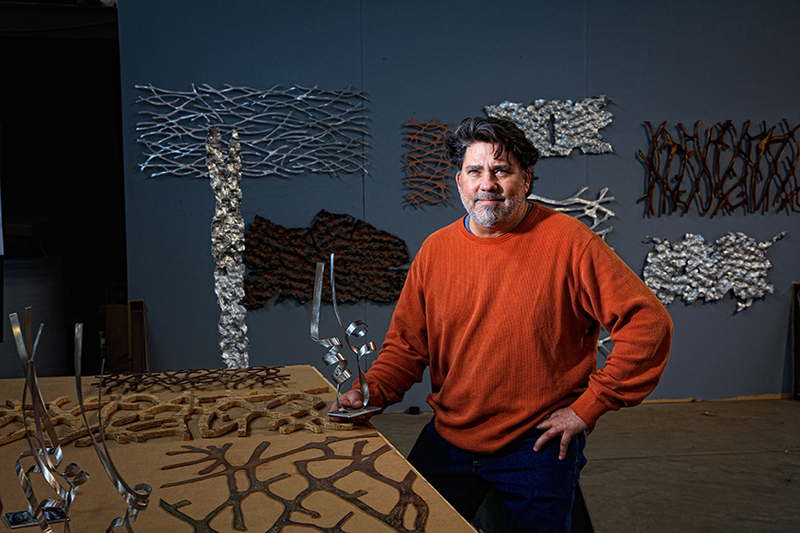 But after a little more than an hour walking around Troco Custom Fabricators, the shop he manages during the week and uses as a studio the rest of the time, one begins to understand that rigidity isn’t Andre’s style. 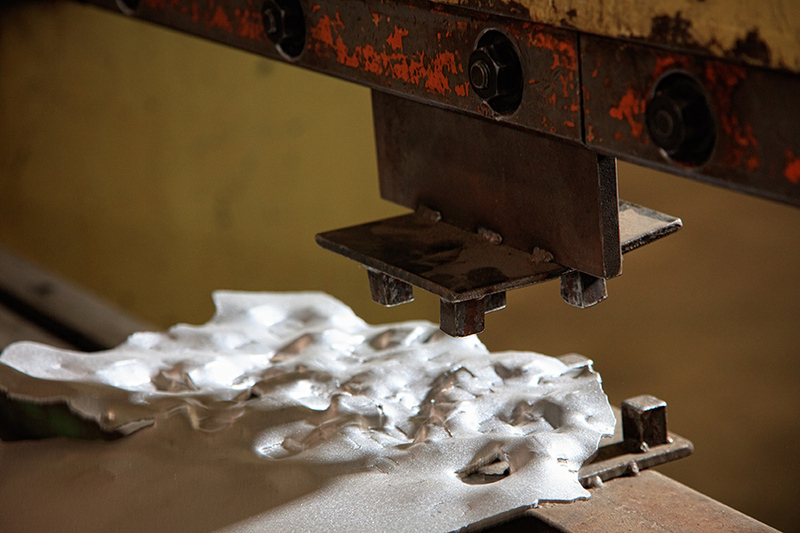 “I really like working with aluminum. Aluminum is soft; it’s a soft material but there are so many different grades,” Tourette explains, walking among his pieces. Some twist and turn skyward, others, with shining structured channels, lay flat across expansive workbenches. "The Badlands," "The Kiss," — the qualities between one series and another are only similar in their stunning, masterful technique. “You’ve got all these different alloys that do all of these different things. There’s so much possibility,” he says. Making a living off of a material as unforgiving as metals is a challenge in itself; creating a lifestyle from the stuff is seemingly impossible. But Tourette has managed to do both. He’s been working the art show and art fair scene for years, traveling all over the country to share his pieces with enamored onlookers. It’s a regimen that breaks many young artists—the jury shows, the criticism—but it’s one that has taught Tourette to look beyond the surface of his work, his booth, and get to the real heart of his matter. 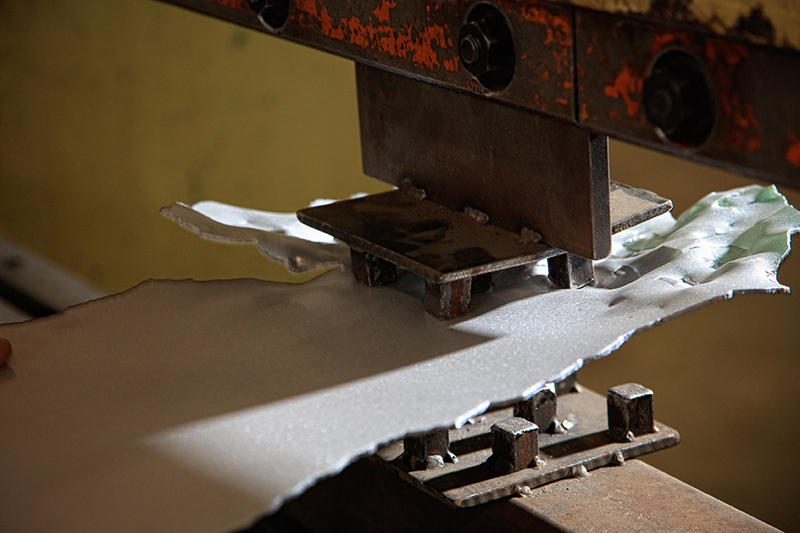 And back in the Sheet Metal Valley, it’s the warm regard that incubates a new kind of creative.